Tumblr is a fun way to blog without writing a long story every day. It is designed to let users simply post a picture, quote, link, video or an audio clip — and add a little commentary if you want. You can also follow other Tumblr users (who can follow you, too), comment on their posts and even share their updates with your own followers. So Tumblr goes beyond a blogging platform to be a social network, as well. Setting up a Tumblr blog is quick and easy, and using Tumblr is even simpler. After you sign up for Tumblr, choose a name for your blog, which will become the URL for it, too. This will look something like www.anything.tumblr.com. Tumblr allows users to update their blog using one of seven types of posts; Text, Photo, Quote, Link, Chat, Audio or Video. Each option will automatically format your post for you, so you don’t need to know any code to make the post look good. Text: Post a short announcement about an upcoming event. Photo: Post pictures of a fashion inspiration or a delicious home-cooked meal. Quote: Share something inspirational, witty or meaningful — or just something you overheard. Link: Did you find something extremely funny on the Web? Share it with other Tumblr readers. Chat: Copy and paste a funny conversation from email or instant messaging with this feature (and a friend's permission). Audio: Can't get that new pop song out of your head? Share it on Tumblr so your followers can enjoy the new tune for the rest of the day, too. Video: Did you catch something seriously cool with your camera over the weekend? Share it. To post on Tumblr, just click the icon of the media type you’d like to share, upload and fill out the rest of the fields, such as photo caption. Don't forget to tag the post with relevant terms that other people on Tumblr may use to search for new content. If you connected your account with Twitter or Facebook when you set it up, your posts can automatically be sent to one or both social networks. If you post interesting content — especially with relevant tags — other people will find your Tumblr and start following you. You will get emails notifying you of these new followers, and also see these notifications in your Tumblr dashboard, which is the page you see when you first log in to Tumblr. Using Tumblr is really quite simple — but can easily become addictive as you discover others with like-minded interests sharing content that you also find interesting. 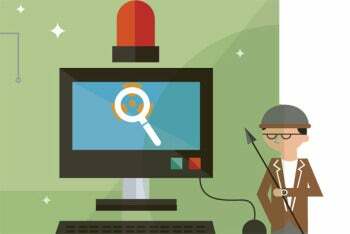 While it can be easy to get into the habit of simply liking and reblogging others' content, try to share your own content, too, so that Tumblr users will want to follow you. 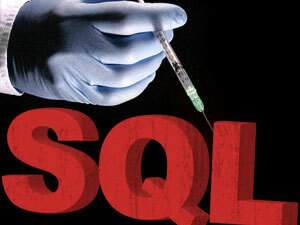 SQL Injection Attack: What is it, and how to prevent it.